Granted, everything you touch turns into either a puppy, a unicon or skittles.. I wish my rp will survive long enough to finish it. Granted, but you never have an rp ever again. Ever. I wish for explosions! Tons of them! And I couldn't be harmed by said explosions! Granted, but some thiefs steal them overnight and now the world is living in fear..
Granted evil parasites invade the world and only you can see them you go crazy and live the rest of your life in a rubber room in a straightjacket. Granted, you have extremly difficult homwork, you must get it done or else you will need to repeat the grade. I wish you had a wish! Granted but the wish was lame. Granted, a gray box lands on your house and crushes you. Granted, but the chef can't understand a word you say. After explaining for eons he misread 'Chinese food' as 'Chinese fool', so Bon Apetite! I wish that I could GET RID OF THIS FREAKIN' CHINESE NEW YEAR (I'm always being dragged around to homes of weird & wacky relatives) but still get the Ang Paos. I wish I had an egg role right know. Granted, but the chef used expired eggs. Enjoy! Granted you wish for nothing a million times and have no more wishes. Granted, but the snow crushed your house so now you wish you could go to school for some warmth. Granted, but now you have to go to school every day for the rest of your life. I wish we actually HAD some snow down here. Just a little. Enough to finally be satisfied that I have seen real snow sometime in my life. Granted, all major winter storms hit your area averaging 2m per storm, ENJOY! I wish for breack from this "one storm a week"
Granted, you get a 0.000000000000000002853007601 second break from snow falling, then a blizzard comes and whips out your house. I wish it would snow enough so we could have snowball fights! And that the snow wouldn't destroy my house, or didn't freeze my house, or didn't snow my house in, and the snow would only last a good two days. Granted, I give you 1 crushed ice cube to throw. I wish I had a fork. Granted, but it's all bent so you can't use it for anything. I wish I could start my own team on Psypoke. Granted, but no one jions. I wish for a spoon. Granted, but that's bent too. 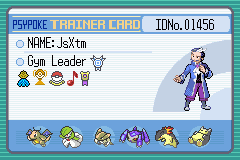 I wish for a working Action Replay. Granted, but the only thing it can do is raise the encounter rate for Bidoofs. I wish they would make better Guitar Hero games for the PS2 instead of slowly making it go obsolite. Granted, but all of the songs are way too hard for you to play. I wish that the PACKERS WIN THE SUPER BOWL!!!!! Granted, but since im not a NFL fan, a random CFL team (Im not even a fan of the CFL either or any sport really) appears randomaly and wins it. I wish my team in the battle tower will get rated soon. Granted, but it gets a low rating. I wish I made the most awesome wish ever that has to do with Team Rocket.